One day after the President Trump and the Department of Defense released the Missile Defense Review, which introduced new and existing technologies to defeat missiles with enabling policies, the White House announced a second summit with the North Korean Leader, Kim Jong un. The United States is considerably more ready and more capable to negate North Korea’s existing known and unknown missile threat to the United States now and in the future than 6 months ago at the first summit with increased capacity of current interceptors, more reliability from testing and demonstrating cross domain ‘engage on remote’ command and control firing solutions. It is the release of the Missile Defense Review that has epically changed the environment for North Korea and its ballistic missiles. The MDR will enable Boost Phase Intercepts from air to air missiles off of the existing USAF F-35 aircraft platforms and enable existing U.S. Navy Aegis BMD Ships with their SM-3 Block IIA ICBM interceptors that have significantly and exponentially changed the missile defense capability to defend the United States from all missiles, accounted for and unaccounted for, from North Korea. North Korea is unequivocally unable to produce an nuclear ICBM overmatch to overcome U.S. Missile Defenses and thereby is unable to negotiate from a credible position threatening the United States homeland and its population. The only positive way forward for North Korea is to show intent by self-destruction of a significant nuclear facility and put forth a plan to drawdown its nuclear ICBM capability to zero with transparency in return for a peace treaty and economic sanction relief. All other ways lead them to false bravado and an accelerated deteriorating nation state. 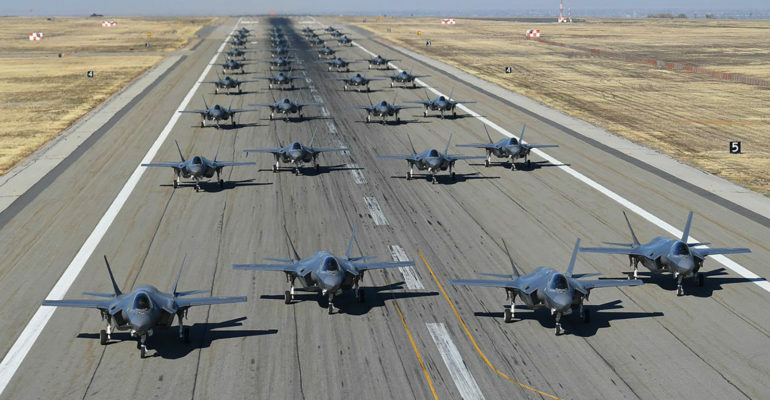 To note there are over a 400 F-35s out today with a 1,000 by 2022 amongst the United States and its allies that include the Republic of Korea, Japan and Australia. The F-35 has Distributed Aperture System (DAS) sensors for 360 coverage and an X-band radar that can provide early warning, track, discriminate and produce firing solutions against air breathing threats. A F-35, while flying over the Washington D.C. in June 2010, tracked a Space X launch out of Cape Canaveral, Florida, 755 miles with its DAS. The F-35 has air to air interceptors it carries for its firing solutions and can also provide firing solutions to other F-35s and to other platforms that communicates via link 16. North Korean ballistic missiles to include nuclear ICBMs are accelerating air breathing targets from Mach zero to Mach 7 with a bright heat signatures from their rocket engines to burn out at 300 to 500 seconds after launch in the atmosphere. The F-35s are capable of flying through and in North Korean airspace without detection and the USAF is developing new air to air interceptors that can handle high Mach Speeds for extended battle pace and standoff range capability. Destroying North Korean nuclear ICBMs in boost phase flight puts them back down on North Korean territory where they were launched from to include the nuclear weapon which provides the ultimate deterrence for North Korea and Kim Jong un to ever consider launching a Nuclear ICBM preemptively.